ENCINITAS — Mr. Peabody’s patrons, you can dance. “Dance your hearts out,” Commissioner Kevin Doyle told the 50 people who came out to support Mr. Peabody’s at the Jan. 17 hearing. “Not the Macarena,” Commissioner Al Apuzzo joked. Technically, Mr. Peabody’s patrons will have to wait until February at the earliest until they can dance. The city has a 15-day appeals window for people looking to appeal the commission’s decision to the City Council, and the state Department of Alcoholic Beverage Control must align its permit with the new ruling. But Mr. Peabody’s owner said the commission’s unanimous decision brought a sigh of relief. Mr. Peabody’s has been a staple in the Moonlight Marketplace on Encinitas Boulevard just west of Interstate 5 since 2001, and has live music several nights a week. The bar ran afoul of a regulation that has been on the Encinitas books since its incorporation in 1986 that bars restaurants from allowing patrons to dance without a major use permit. That rule wasn’t being enforced until 2017, when the city adopted a so-called deemed approved ordinance, aimed at corralling unruly behavior at restaurants and bars along Coast Highway 101. 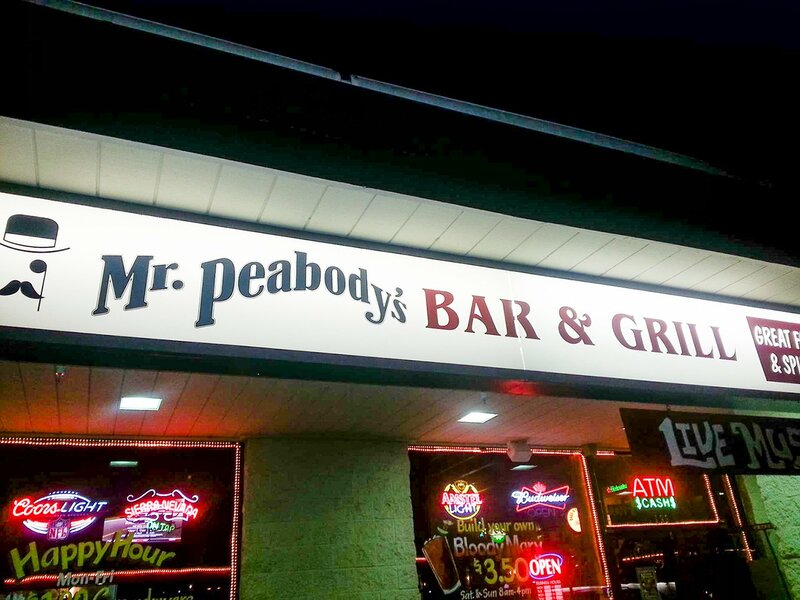 While Mr. Peabody’s is not downtown, it got caught in the citywide crackdown, as the state Department of Alcoholic Beverage Control fined it $3,000 back in March 2018 when inspectors witnessed patrons dancing inside the restaurant. Cardosa said the restaurant took hits to its own reputation, with patrons giving them negative reviews on social media because of the no-dancing policy. It “sucked” to tell people to stop dancing, she said. “If you can imagine that you’re there for dinner and you’re celebrating something and you and your wife just happen to get up and start to swing to the music, and then now I have to approach you during this special moment and tell you that you need to sit down, imagine how you would feel,” Cardosa said. “You’d probably feel confused, probably a little bit upset with me. It’s just been awkward, it’s been emotional. The Planning Commission’s decision was swift, and also expanded the number of days the restaurant could have live music from five to seven per week and the number of performers to five. When asked if the restaurant would do something to celebrate the ruling, Cardosa said patrons had suggested they throw a party, but said it was unlikely. “Like we’ve said before, we are not a dance club, and we’re not advertising dancing,” Cardosa said. “We’ve gone through this process just to avoid being out of compliance and getting in trouble again and to prevent future fines for incidental dancing,” Cardosa said.